NJ based Personal & Commercial lines Insurance agency had 2 concerns, a) an old WordPress theme that was not setup for updates and b) an interest in a simpler more modern presentation of their brand. We proposed a vetted reliable WordPress theme that both supports core WordPress updates and that also allows for a video- based home page. 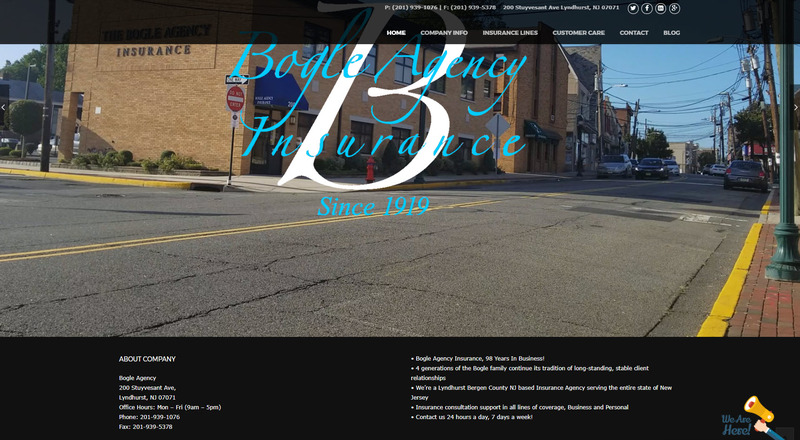 We agreed that while a succinct and simple home page could still be modern, it still needed to say ‘Local NJ Insurance Services!’ and ‘Agency With The Staying Power of 4 Generations’. We agreed their building and location in town would do it.